Architectural photography is the photographing of buildings and similar structures that are both aesthetically pleasing and accurate representations of their subjects. Architectural photographers are usually skilled in the use of specialized techniques and equipment. The first permanent photograph, View from the Window at Le Gras by Nicephore Niepce , was also the first architectural photograph as it was a view of buildings. Similarly, photographs taken by early photographer William Henry Fox Talbot were of architecture, including his photograph of a Latticed window in Lacock Abbey taken in 1835. Throughout the history of photography, buildings have been highly valued photographic subjects, mirroring society’s appreciation for architecture and its cultural significance. By the 1860s, architectural photography started to become an established visual medium. Much as building designs changed and broke with traditional forms, architectural photography also evolved. During the early-to-mid-20th century, architectural photography became more creative as photographers used diagonal lines and bold shadows in their compositions, and experimented with other techniques. By the early 1950s, architects were hiring more photographers for commissioned work, resulting in architectural photography being viewed as more of an art form. A tenet of architectural photography is the use of perspective control, with an emphasis on vertical lines that are non-converging (parallel). This is achieved by positioning the focal plane of the camera at so that it is perpendicular to the ground, regardless of the elevation of the camera eye. This result can be achieved by the use of view cameras,tilt/shift lenses, or post-processing. Traditionally,view cameras have been used for architectural photography as they allow for the lens to be tilted or shifted relative to the film plane. This allows for control of perspective, as well as a variety of creative possibilities. 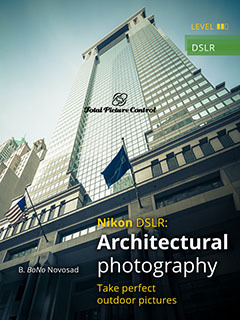 More recently,digital single lens reflex(DSLR) cameras have been used in the field of architectural photography. These cameras also employ detachable, tilt-shift lenses of varying (usually fixed) focal lengths. Architectural photography typically shows either the exterior or the interior of buildings. The techniques used in each of these types of photography are similar, but do have some difference and sometimes require different equipment. 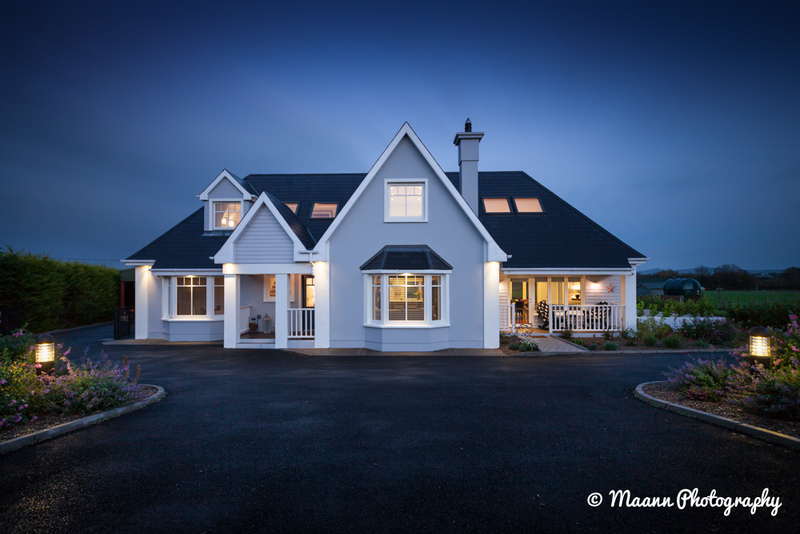 Exterior architectural photography usually takes advantage of available light by day, or at night it uses ambient light from adjacent street lights, landscape lights, exterior building lights, moonlight and even twilight present in the sky in all but the darkest situations. In many cases, the landscaping surrounding a building is important to the overall composition of a photograph, and even necessary to communicate the aesthetic harmony of a building with its environment. The photographer will often include flowers, trees, fountains or statues in the foreground of a composition, taking advantage of their ability to help lead the eye into the composition and to its main subject, the building. A feature of architectural photography is that the principal subjects rarely move. It is therefore possible to use post-processing editing to achieve a balanced lighting scheme, even in the absence of additional lighting. minergratebest scrypt mining poolwrite my essays online Why Not Try These Out costom writing.